iEARN is a non-profit organization made up of over 30,000 schools and youth organizations in more than 130 countries. iEARN empowers teachers and young people to work together online using the Internet and other new communications technologies. Over 2,000,000 students each day are engaged in collaborative project work worldwide. iEARN International is registered as an NGO in Spain and has an international office in Callus, Spain. Since 1988, iEARN has pioneered on-line school linkages to enable students to engage in meaningful educational projects with peers in their countries and around the world. All websites linked to EDSITEment have been reviewed for content, design, and educational impact in the classroom. They cover a wide range of humanities subjects, from American history to literature, world history and culture, language, art, and archaeology, and have been judged by humanities specialists to be of high intellectual quality. EDSITEment is not intended to represent a complete curriculum in the humanities, nor does it prescribe any specific course of study. Photos, documents, and popular media from the National Archives provide resources and interactive opportunities for users to access materials on endless U.S. historical topics and themes. The user can then organize the resources in any number of ways to relate to our country's history and tell a story. Geocube calls itself the world of Geography at your fingertips. Geocube is based on the principle of the Rubiks Cube with six faces and 54 topics. Move the Geocube around with your mouse and explore the faces and topics. Learning about Geography has rarely been more fun. Over 1,000 online video testimonies of Holocaust survivors and other witnesses are housed in this website maintained by the University of Southern California's Shoah Foundation Institute, established in 1994 by Steven Spielberg. Students can be involved with the videos, teachers will enjoy the educational materials. Tip: Link videos for social studies and language arts classes. Imagine creating one large photo album for the entire human population. Historypin brings together stories, photographs and links memories from around the world. Clean out your attic of those dusty photos and pin them on a worldwide map, explore pictures posted by others, create collections, discuss history, and capture and share the world's moments. Tip: Introduce History Pin to your social studies and history teachers and collaborate to have students map out the story and histories of their family. This site allows students to place items into virtual boxes; these items can include images, video, text, and sound. MuseumBox can be used across the curriculum and can help students to describe a person, place, thing, event, idea, or issue. The site facilitates description, debate, investigation, and exploration and development of ideas and issues. The National Archives’ Digital Classroom offers a multitude of resources for the use of primary sources in the classroom. 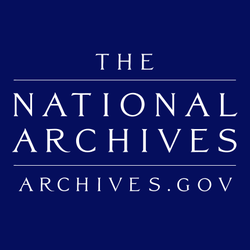 With access to copies of primary documents from the holdings of the National Archives of the United States, teachers can develop their own activities and lesson plans that make historical periods come alive for their students or choose from dozens of resources that have already been developed and are featured here. 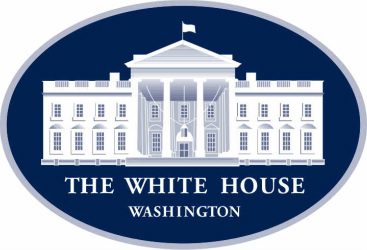 The goal of the "Future State" website is to provide students with the opportunity to explore the world of American diplomacy, look at aspects of U.S. foreign affairs, and where and why Foreign diplomacy is important. Sections include News and Events, Fun Activities, and Parents & Educators. 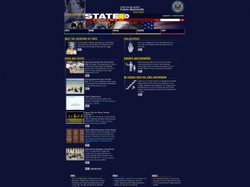 This site was created by the US Department of State for Youth.